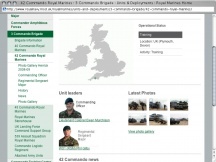 50°26'39"N 4°5'0"W Royal Marines Bickleigh. One of the battalion sized RM formations under 3 Commando Brigade and capable of a wide range of operational tasks. 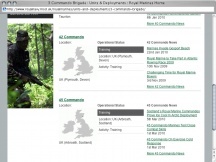 Based at Bickleigh, personnel regularly deploy outside the UK on ops or training. 3 Commando Brigade may operate worldwide under all conditions. Recent history: Deployments on Operation Telic 1 (invasion of Iraq in 2003) where they launched a helicopter assault on the Al-Faw Peninsula supporting 40 Commando. The unit returned from Operation Herrick in Afghanistan in 2009, where it served as the Regional Battle Group (South).